Looking for the Best Roofing St Louis Contractors? Look no further than the professionals at John Beal Roofing St Louis! Whether you need repairs after a storm or are simply in need of an upgrade, we can help you find the best roofing solution for you. As an Owens Corning™ Roofing Platinum Contractor we meet strict standards for professionalism, business stability and customer service. John Beal Roofing St Louis is one of the ONLY contractors that can offer this warranty and represent less than 1% of all roofing contractors in United States. John Beal Roofing St Louis is a Mule-Hide Legacy Roofing Contractor. This program recognizes an exclusive group of roofing professionals who have demonstrated a commitment to the success of their business through unrivaled customer service and exceptional installation quality. I wouldn't normally spend the time to give a review. But my experience with John Beal was over and above what I would normally expect. It all started when my John Beal Roof Specialist, Bill first knocked on my door. He was extremely friendly and seemed to want to help me with a decision rather than trying to sell me. After I had decided which way I wanted to go, the whole process went very smoothly. Bill was in constant contact with me during the installation and even after. I couldn't have been happier with the way in which I was treated. I highly recommend Bill and the John Beal team !! I give this company an A+. They were extremely efficient, hard-working, and clean. I have a beautiful new roof that makes me feel safe and secure in my home. The crew was really a wonderful bunch of guys that truly knew their stuff. I had a great experience and definitely feel this company is worth doing business with. They are honest and good for their word. That is the most important feature with a company, as well as working hard and doing a great job. We hired John Beal Inc. recently to replace our hail damaged roof. We could not be any happier with the job they did. The contractors were very respectful and completed the work in a timely manner. They also did an excellent job of cleaning up around our home. I would recommend John Beal to anyone in the area. Furthermore, our sale representative did a wonderful job of explaining how the process works, how the insurance reimbursements work, and he also noticed a few things our adjustor missed during his visit. Ask for Bill when scheduling your estimate from John Beal Roofing. 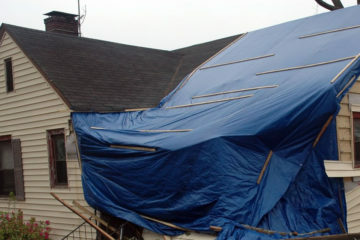 I experienced storm damage to my roof within the last six months. NICK, Sales Representative, was outstanding. He inspected the roof, provided efficient guidance on replacement, returned to my home when insurance inspector completed the inspection, and then followed up after the project was complete. The process of working with my insurance company, and mortgage company, was seamless with how John Beal Incorporated handled the entire process. Our John Beal contact person was Greg. Greg did a great job communicating to setup the process of getting a new roof, understanding insurance information, and the actual work that would be done to our home. For top quality work and great customer service, John Beal is recommended. This is the second time I have worked with John Beal to have a new roof put on a home. As the result of a recent storm I had to replace my roof. After talking with several friends, I called John Beal for an estimate. Nick was my Sales Rep and I can't say enough kind things about him. He met with my insurance adjuster, brought over several shingle samples and talked me though the entire process; very knowledgeable. I could reach him anytime I had questions. 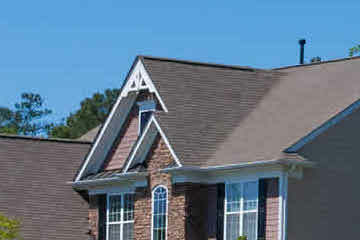 The company did a great job on my roof - very efficient. I also worked with Greg B. in the billing department and he was also good to work with. As homeowners that live in Ballwin and experienced the hailstorm in April 2014, we needed a new roof. After calling several roofing companies, we chose John Beal. From Nate showing us the roofing options and products they had, to Greg walking us through the insurance claim, it was a seamless transaction. Thanks to you for helping with such as big an investment to our home. Thanks again to Nate and Greg and the company. We needed a roof we called several area roofers but Bill came spoke with me and explained the process to me a woman so I could go back and inform my husband he was professional and talked like he really enjoyed what he did, the other companies 1 came by did a estimate left and mailed it back in 8 business days not even coming in to explain the findings they had a low price but then 225.00 for this and 325.00 and 66.00 for that and when added up went over our total end price with John Beal and then the last company never returned call never set up an appointment didn't need the business I quess.Thank you Bill your great and thanks roofing crew for a fast and great job all the neighbors and people driving by says the roof looks great and we proudly tell them John Beal roofing did the work. George and I were totally "wowed" by the awesome customer service provided by John Beal Roofing Company on our November 24, 2015 residential roof replacement. Jeff handled our account and from the first moment he impressed us with his knowledge and customer service skills. Both of us felt very comfortable with him, and with the way he represented the company. He was very informative, honest about possible costs, professional and responsive when we reached out to him. The roofing supplies arrived when he said they would. We were impressed by the "Construction Agreement", and we took the precautions suggested, so we had no nasty surprises. I don't know whose idea that was, but it's a great tool to inform customers and proactively avoid any misunderstandings or complaints. The workers arrived on time and completed everything the same day, cleaning up afterward too. Jeff followed up with us twice to make sure we were satisfied with the work, and came out promptly to resolve the only issue we encountered. We can honestly say that this experience is one of the very best we have had with any company, and we will be glad to recommend John Beal to friends and associates who need roofing services. Thanks, Jeff, and John Beal Roofing. Keep up the outstanding job! Mr and Mrs George J.
John Beal Roofing did a fine job on our new roof. They completed the work expeditiously and all personnel were very well versed on their product. They outclassed the competition by providing a superior product for the price. The sales rep, Greg , was very knowledgable and straight-forward. Ashley, of the office staff, was very concienious in assisting us, as was Greg, Rich, the Project Manager, and his crew of installers were very fast and very thorough, and were very courteous overall. We are very satisfied with the quality of their work, and would recommend the company to others. We are very impressed with the overall result this company provides, especially after trying to deal with other roofing contractors, who cannot deliver a superior product for the money, nor could they complete the work in as timely a fashion as Beal. Our mission at John Beal Roofing St Louis is to provide our residential and commercial customers with top-quality roofing repairs and replacements and the VERY best price. Our employees are trained experts, and provide outstanding customer service from start to finish. From the initial inspection through job completion, we focus on satisfying our customers with excellent workmanship and value. We make it our business to continue to set the standard in quality and customer service excellence for each and every job. *John Beal Roofing St Louis will beat any competitor’s legitimate written quote with a lower bid or pay a one time payment of $100. Must be an apples to apples comparison (Owens Corning products, same warranty, same installation and BBB accredited business). Must provide a copy of competitor’s written quote before John Beal Roofing delivers material. Can not be combined with any other offer, discount or coupon. ** This is the best available warranty that Owens Corning’s roofing division offers. 50 Year Material & Lifetime Labor Limited Warranty available through and backed by Owens Corning with purchase of Owens Corning Platinum Preferred Warranty. Residential shingle roof projects only. Must purchase qualifying Owens Corning products.